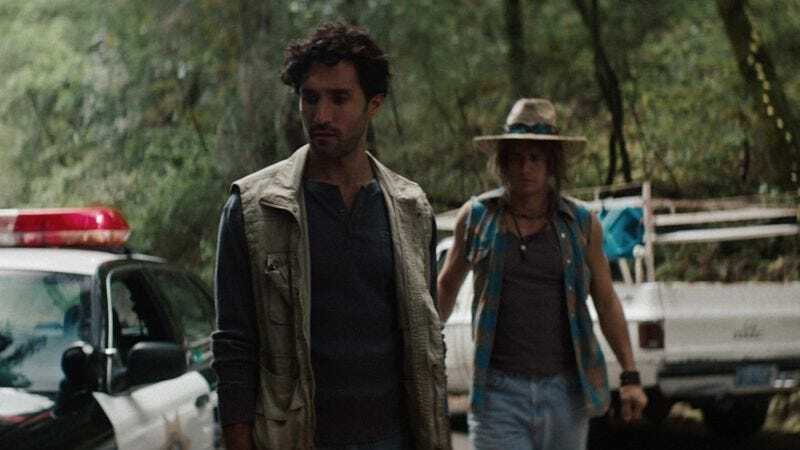 Burn Country opens with a scene so deliberately disorienting that people who see it at a multiplex may briefly wonder whether they’ve accidentally wandered into the wrong theater. This is an American movie featuring an Afghan protagonist, but the first thing we see is a woman onstage, yelling in unsubtitled Polish for several minutes. No context whatsoever has been established, and there’s no way for anyone who doesn’t speak the language to know what she’s saying, though it’s obvious that she’s angry and repeating certain phrases over and over. Only in hindsight does it become clear that our befuddlement at this theater piece is meant to provide a window into the turbulent mindset of Osman (Dominic Rains), who’s just arrived in Northern California from Afghanistan and who experiences, over the course of Burn Country, a crash course on the ways in which parts of America differ radically from what’s generally shown in the movies and on television. Being fluent in English doesn’t help him very much. It’s that very fluency that got Osman to America in the first place. 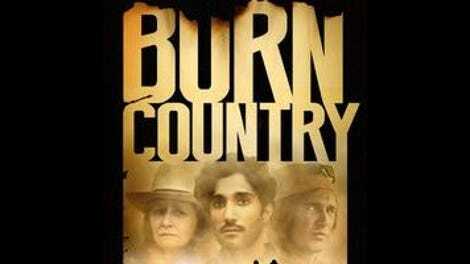 Directed by Ian Olds, Burn Country (which played the festival circuit as The Fixer) is very loosely inspired by Fixer: The Taking Of Ajmal Naqshbandi, Olds’ 2009 documentary about an Afghan interpreter who was kidnapped by the Taliban while assisting an Italian journalist. Naqshbandi was murdered, but Olds and co-writer Paul Felten have imagined a scenario in which a similar Afghan, after bonding with an American journalist, receives asylum in the United States and winds up living with his colleague’s mother, Gloria (Melissa Leo), who works for the sheriff’s department in a sleepy NorCal town. Given a crappy job writing the police blotter for the local paper, Osman winds up befriending an initially hostile burnout named Lindsay (James Franco) and subsequently investigating Lindsay’s disappearance, which follows an altercation with some thugs who work for the area’s low-rent notion of a crime boss (played by Hal Hartley regular Thomas Jay Ryan).